A one car accident on High Street at approximately 2 am this morning severely damaged a utility pole. 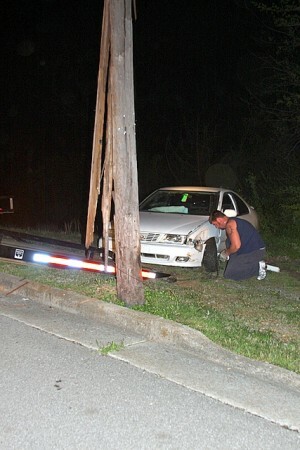 A white two door vehicle ran off the road and collided with a light pole. Four Clarksville police department units and one EMS unit responded, but EMS services were not needed. The vehicle required towing which was provided by Aaron Trammell of T&T towing. CDE Lightband has been notified and is expected to replace the damaged light pole shortly.